Paris Flea Markets: The Best Markets & Shopping Tips 4.6923076923077 out of 5 based on 13 ratings. 13 user reviews. Flea markets in Paris are great places to find bargains and to shop without breaking the bank. Historically, Paris’ flea markets, also known as Puces or Brocantes, find their origins in the Middle Ages. They were places where villagers would barter and sell old items, farmers products, and all kind of bric-a-brac. 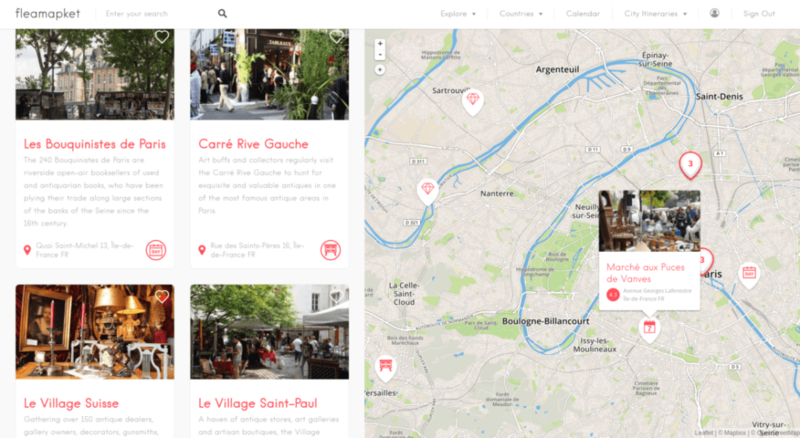 The concept of flea markets in Paris has, however, slightly evolved since the Middle Ages. 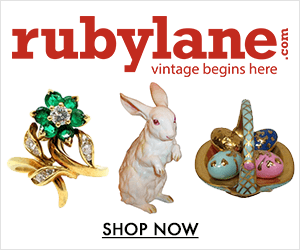 Most flea markets nowadays still sell a majority of antiques and vintage merchandises. But some flea markets in Paris also offer a mix of old and new. Like most flea markets in the rest of the world, Paris’ flea markets essentially open their doors on the weekends. Even if some like the Puces de Clignancourt and of Montreuil, are also operating on Mondays. 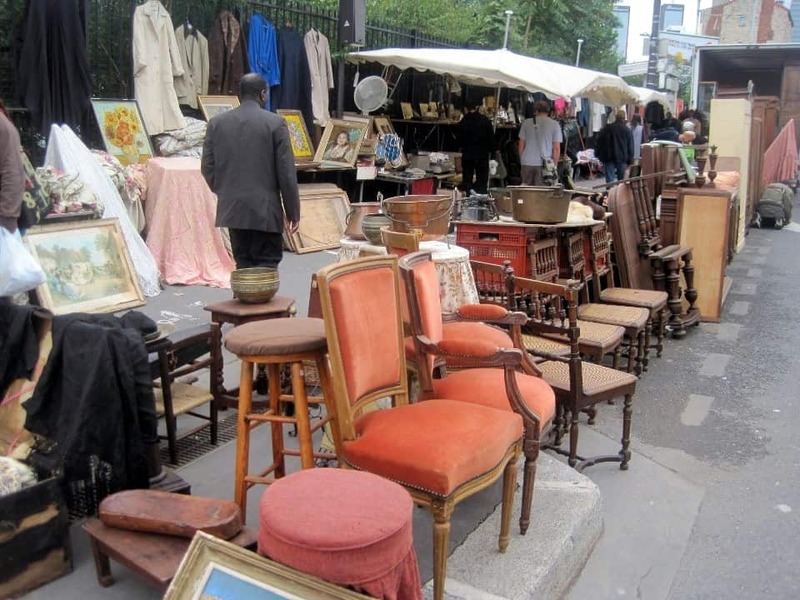 Paris has 4 major flea markets located on the edge of the ring road known as Boulevard Périphérique. Here is our list of the 5 best flea markets in Paris, to shop for bargains without breaking the bank. The Puces de Clignancourt are very popular among locals and tourists alike, because of the potential treasures they harbor. All 12 markets of the Clignancourt Flea Market literally overflow with antiques: Baroque furniture, art objects, paintings, tapestry, antique mirrors, religious and pagan sculptures, decorative objects, antique music instruments, collectables, 15th to 19th century weaponry, but also old photographs, second-hand books, DVDs and records, toys, as well as trendy and vintage garments. If you are in a hurry and wish to catch a glimpse of this market, head directly to Rue des Rosiers, which hosts the majority of Clignancourt’s markets. Days and opening hours of the Saint-Ouen flea market: Saturday from 9am to 6pm, Sunday from 10am to 6pm and Monday from 11am to 5pm. Porte de Vanves Flea Market is less famous than Saint-Ouen Flea Market, but a more upmarket place compared to Montreuil and Aligre markets. Comparatively modest in size (it only occupies two streets), Porte de Vanves market however offers quality products at more than attractive prices. It is certainly the flea market in Paris that has best kept its “Puces” spirit. Approximately 350 stalls dot the Avenue Marc Sangnier and Avenue Georges Lafenestre. Shoppers may find various items at this outdoor market located near the eponymous Porte de Vanves: antique and design furniture, Art Déco, French flea market decor from the 1900s to the 1970s, vintage clothing and ancient textiles, table art and linen, old paintings, bronze sculptures, ancient books, tribal art, china, silverware, crystal chandeliers, jewellery, and more. American and Japanese tourists are frequent visitors to this flea market. 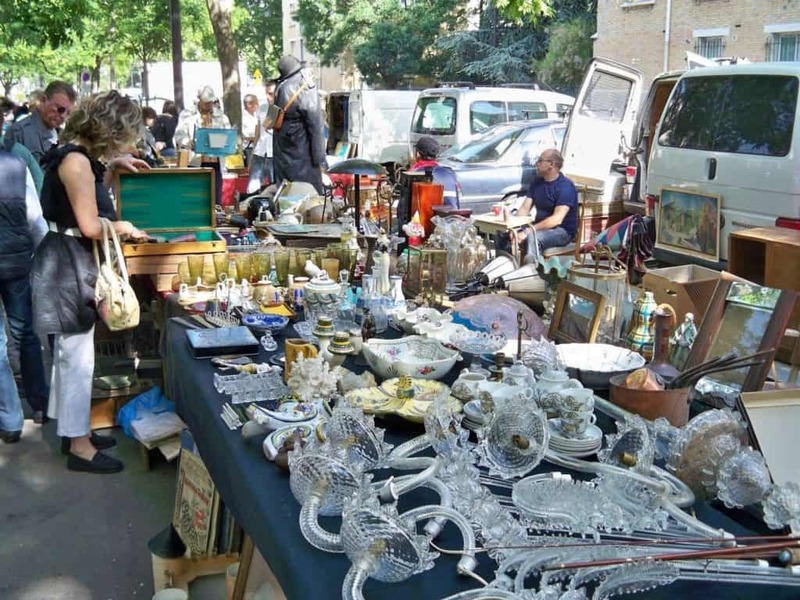 Days and opening times of the Porte de Vanves flea market: Saturday and Sunday from 7am to 1pm. Certainly less charming and prestigious than the Vanves and Saint Ouen flea markets, the Marché aux Puces de Montreuil is an entirely open-air flea market with around 500 stalls. 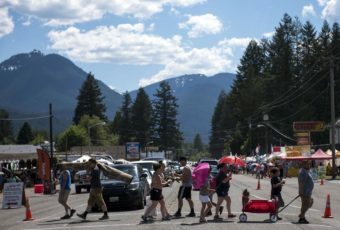 It looks more like a huge garage sale or swap meet filled with second-hand items and a lot of knick-knacks. However, because Montreuil Flea Market is not located in the prettiest part of Paris, it attracts fewer tourists and therefore is a better place to score a bargain. 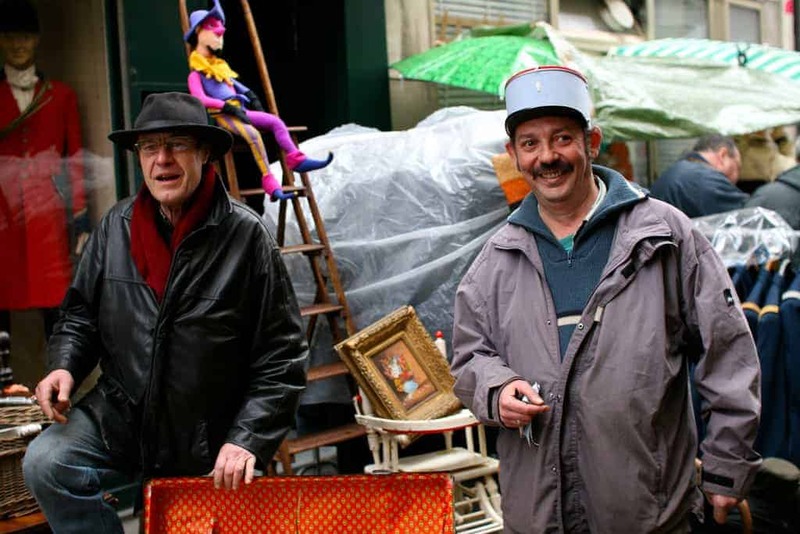 Founded in 1860, Montreuil Flea Market is one of the oldest flea markets in Paris, as well as one of the few flea markets which kept its original brocante feeling. Most aisles at the Puces de Montreuil are dedicated to selling second-hand clothes, old furniture, spare parts, hardware, tools, dicey designer knock-offs, and t-shirts at very attractive prices. But occasionally, real treasures surface from under the makeshift tables of this flea market. 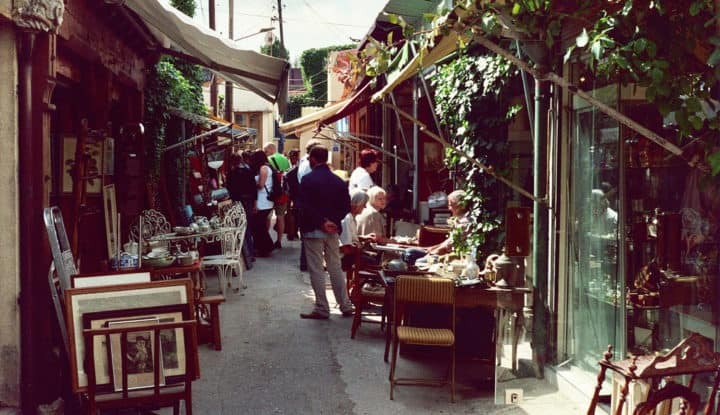 The Montreuil flea market is a good place to find vintage and second-hand items. 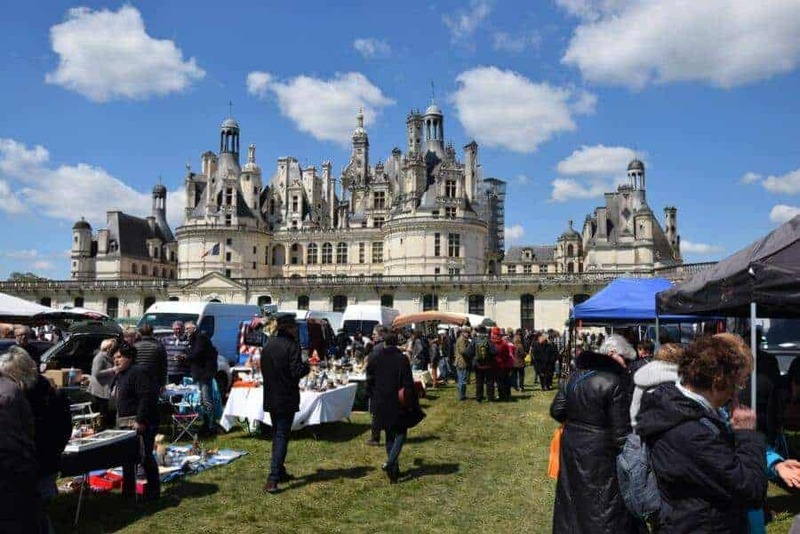 However, if you are looking for high-end antiques and french flea market decor, then you might be better of spending the day at the Puces de Clignancourt and Vanves flea market. Not as big as the Vanves flea market or Puces de Clignancourt, Brocante de la place d’Aligre is more promising than Montreuil. It offers a lively mix of items from around 40 small-scale professional exhibitors selling typical French flea market decor and other random items, in a quiet and poetic square of Paris. This quaint little flea market with a provincial touch is located in the heart of the Faubourg Saint-Antoine and a stone’s throw from one of the most delightful and delicious food markets in Paris. As with all smaller flea markets, we recommend you to get your hands dirty and rummage through dusty boxes, and not limit yourself to what is in plain sight. 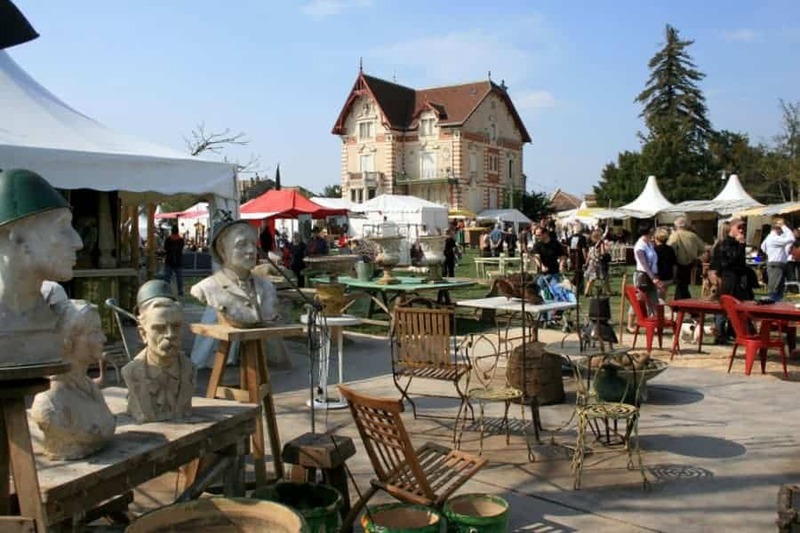 Most vendors at Brocante de la place d’Aligre are eager to do business. And patrons often picks through the boxes on the ground for the best deals. 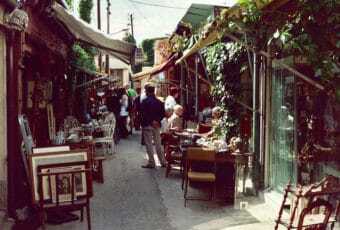 The Brocante de la place d’Aligre is renowned for its atmosphere, diversity, and its affordable prices. The tradition of Paris’ second-hand booksellers Les Bouquinistes dates back to the 16th century. However it is only in 1859 that the Bouquinistes, as we know them today, started to settle around their current location. With their 900 “boxes” and more than 300,000 antique or contemporary books on sale, 240 Bouquinistes offer Parisians and tourists a 3 kilometers cultural hike on the banks of the river Seine. The Bouquinistes mainly sell old books, as well as a large number of old newspapers, antique posters (reissued or genuine), stamps and trading cards. Les Bouquinistes is the longest open-air library in the world. It operates several days a week, depending on weather conditions, from 11:30 am until sunset. 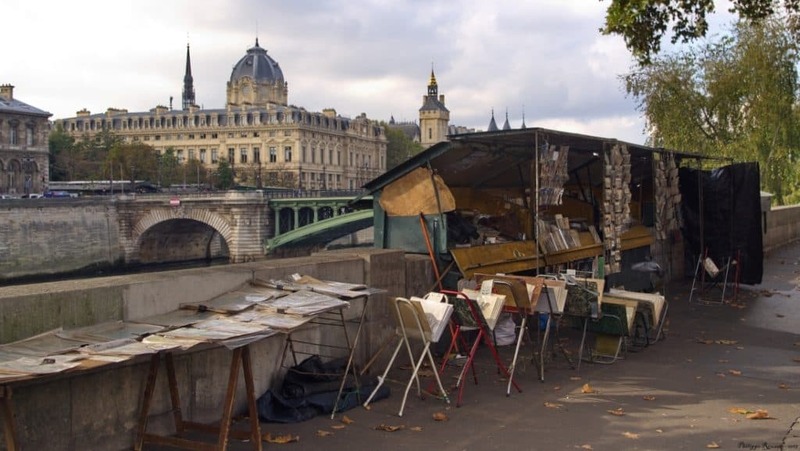 Where to find the Bouquinistes in Paris: on the right bank from the Pont Marie to the Quai du Louvre, and on the left bank from the Quai de la Tournelle to Quai Voltaire. Keep an eye on your belongings at all times as pickpockets are known to roam around flea markets. When strolling a flea market in Paris, one thing you might rarely see are price tags. In fact, merchants often spontaneously make up prices. Their pricing is sometimes based on their perception of specific customers, their appearance, and their probable origin. It is not uncommon at a flea market in Paris to see groups of overdressed and loud foreign shoppers paying the full price for something they could have bargained down by at least 25% – if only they had dressed down, known a few words of French, basic French etiquette, and a few haggling tricks. 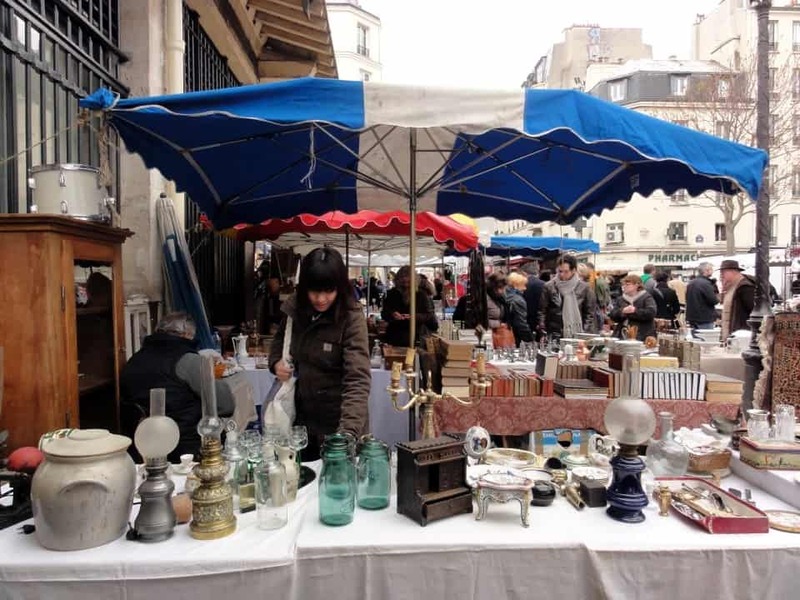 Flea markets in Paris are famous for being authentic places of contact and exchange. It is therefore customary to discuss prices before making a purchase. If you want to get a fair price, avoid dressing like a tourist or strolling the flea market aisles with backpacks. When it comes to shopping smart at a French flea market, one important tip is to determine the maximum price you are willing to pay for a specific item before you even ask the vendor, and then negotiate with a smile. Pauses and silences are also part of the negotiation. It helps to pretend you are losing interest in the item in question. You will be surprised to learn that most flea market vendors in Paris will gladly give a discount that can sometimes amount up to 30% of the original price. And remember that when you offer a price and the vendor accepts it, you are almost committed to buying it. One golden rule of haggling is to remain courteous and friendly at all times and to be considerate of other visitors. In the end, flea market shopping in Paris is also about having a good time. And not only about finding a hidden gem at all cost! Last but not least, get acquainted with basic French habits and cultural norms before your trip to Paris. It is also helpful to learn a few useful phrases in French. It will increase your haggling power and reduce the likelihood of getting ripped off! 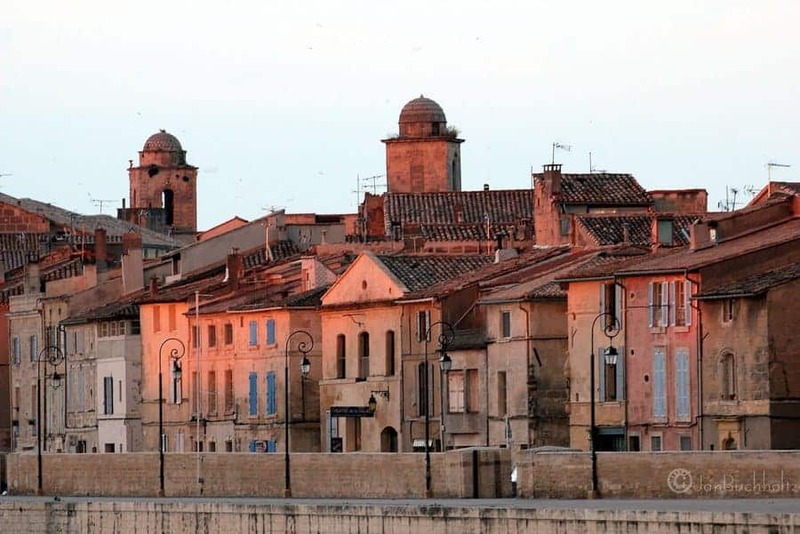 We recommend you start with these 10 idioms you will likely hear at French flea markets. 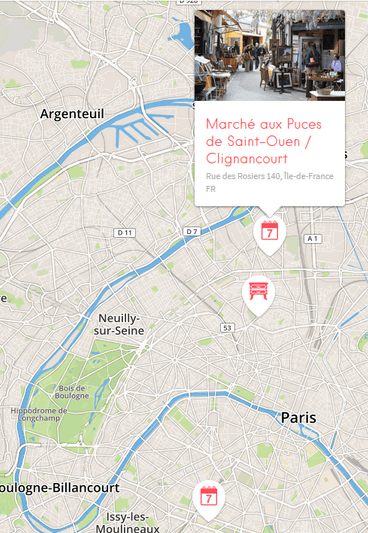 You can now discover the best flea markets and antique fairs in Paris on a map! 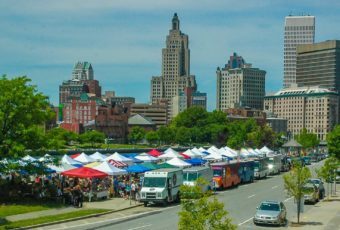 The interactive map also features some of the city’s famous antique districts and antique fairs.